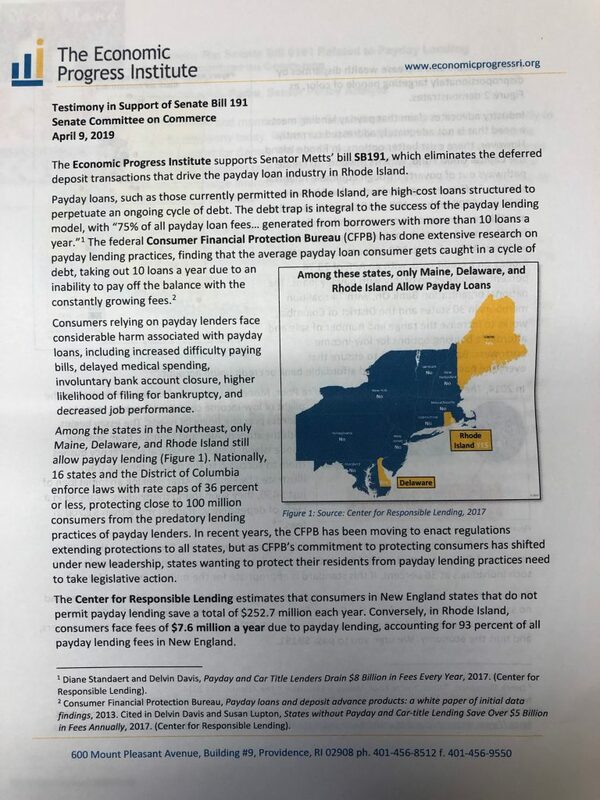 The Senate Committee on Commerce met on Tuesday afternoon to consider one bill, S0191, which would repeal that part of Rhode Island law that allows the continued existence of payday lending companies. 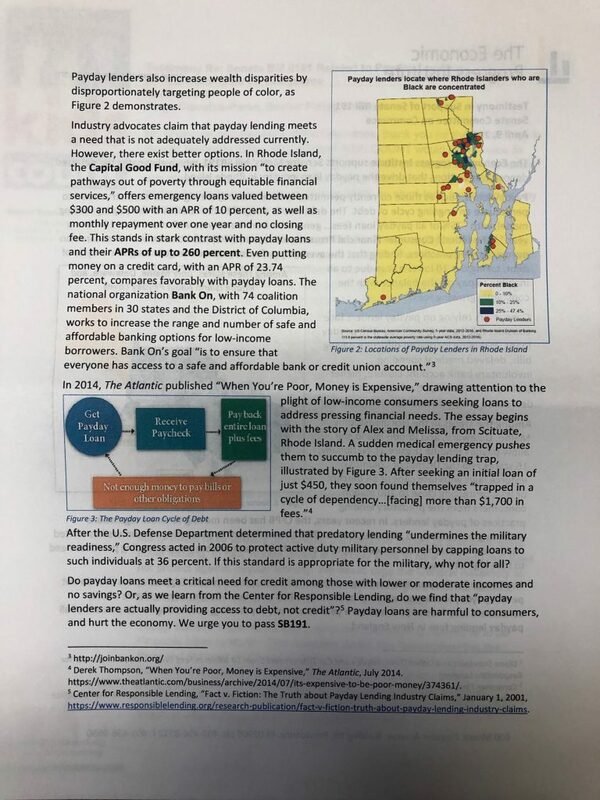 According to the Economic Progress Institute, payday loans are high-cost loans designed to perpetuate “an ongoing cycle of debt.” These companies set up shop in economically distressed communities, often becoming the only option when people need money. Rather than assisting people during difficult economic times, payday lenders entrap people in debt with loans that can be as high as 260 percent APR. This obvious evil in outlawed throughout the northeastern United States, with only Maine, Delaware and Rhode Island allowing the practice. 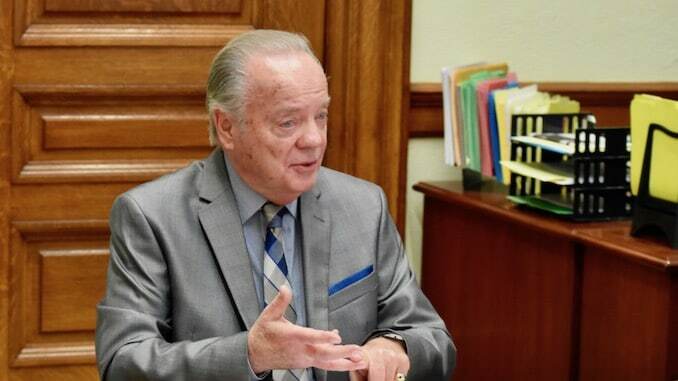 Senator Harold Metts (Democrat, District 6, Providence) has introduced the bill six times in six years, to no avail. The bill similarly fails annually in the House, and it’s easy to see why. 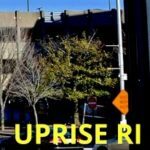 Powerful, well-funded lobbyists with close relationships to the leadership of the Rhode Island General Assembly prevent this bill from being passed, making General Assembly leadership, such as Senate President Dominick Ruggerio (Democrat, District 4, Providence) and Speaker of the House Nicholas Mattiello (Democrat, District 15, Cranston) complicit in the practice of payday lending which soaks the most vulnerable of Rhode Islanders with fees of around $7.6 million a year. The Senate Commerce Committee meeting was held in a room, 212, without cameras and without audio recording. When I entered and set up my camera, one of the women who works in the office asked if I was recording the meeting. I assured her that I was. She left the room. 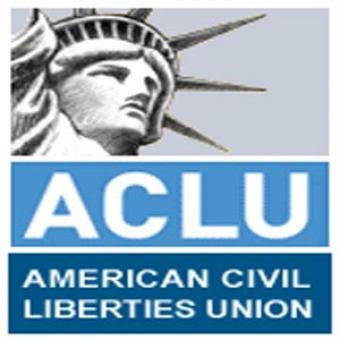 The room was full of lobbyists for payday loan companies such as Axcess Financial and Advance America. These lobbyists included former Speaker of the House William Murphy (Democrat, District 26, West Warwick). 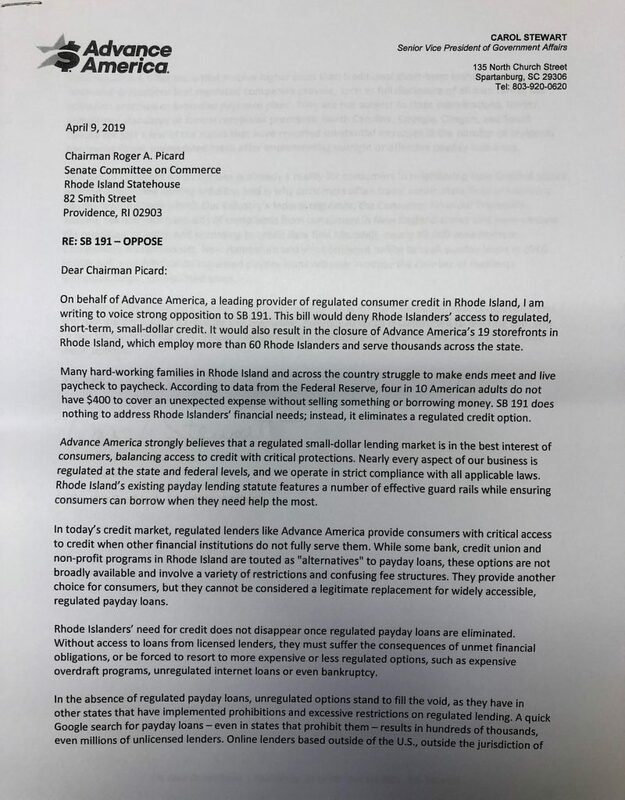 Advance America pays Murphy $30,000 a year to make sure payday lending is never outlawed in Rhode Island. 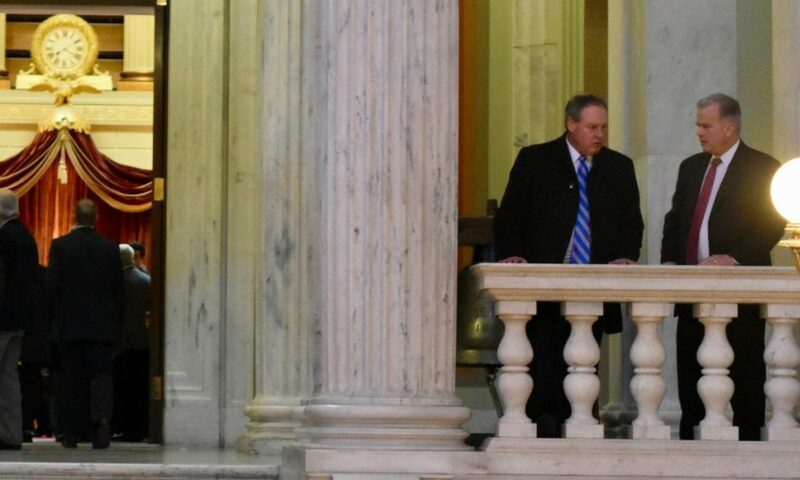 This article from the Providence Journal outlines the close relationship between Speaker Mattiello and former speaker, now lobbyist, William Murphy. Before the meeting got going, Senate Majority Leader Michael McCaffrey (Democrat, District 29, Warwick) entered the room and glad handed the lobbyists. He sat in on a few minutes of the proceedings too, since as Majority Leader McCaffrey sits ex officio on all senate committees. 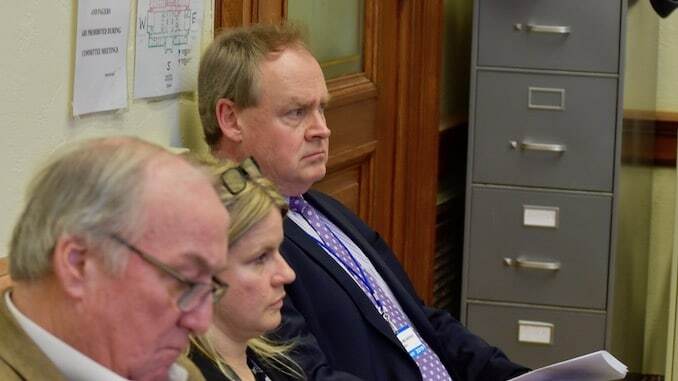 He left as I began testifying, but the meeting was monitored after that by Senate Director of Communications Greg Paré. No one directly representing the payday loan industry spoke at the hearing. 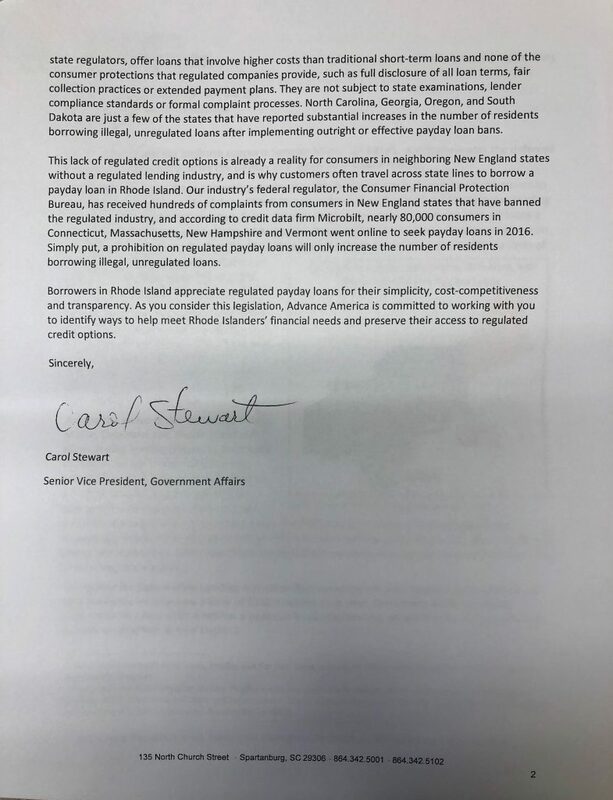 Instead, the industry relied on written testimony from Carol Stewart, Senior Vice President of Government Affairs at Advance America and the oral testimony of Bill Staderman, President of the Rhode Island Association of Financial Services. Staderman began his testimony by saying that he was not a lobbyist. 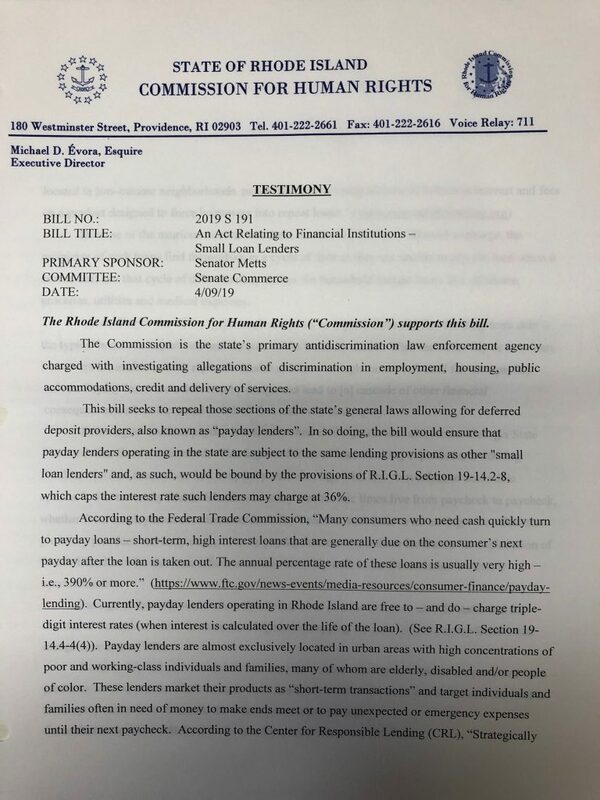 Testimony against payday loans included written testimony from Rhode Island Kids Count, The State of Rhode Island Commission for Human Rights, Alan Krinsky from the Economic Progress Institute, and Kelly Rogers from the office of General Treasurer Seth Magaziner. Krinsky and Rogers also presented oral testimony. It was never a contest, of course. Most Senators didn’t even bother to show up for the committee meeting, or if they did show up, cut out early. 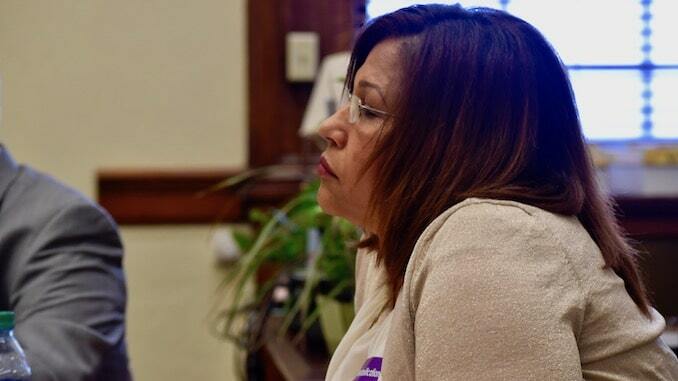 Chair Roger Picard (Democrat, District 20, Woonsocket) was absent, leaving the Committee to Vice-Chair Ana Quezada (Democrat, District 2, Providence). Admirably, Quezada is a co-sponsor of Metts’ bill, and expressed her desire to get this bill passed this year. 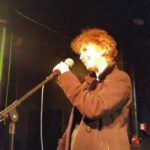 The one Republican on the Committee, Senator Elaine Morgan (District 34, Exeter Hopkinton, Richmond, West Greenwich) never made an appearance, but Senate Minority Leader Dennis Algiere (Republican, District 38, Westerly, Charlestown) stuck his head in the doorway long enough to okay the meeting. 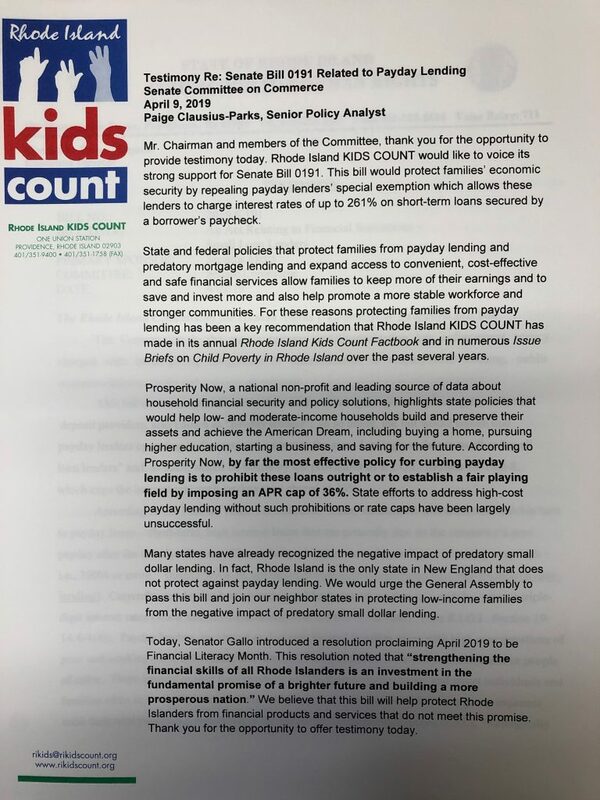 Senator Hanna Gallo (Democrat, District 27, Cranston) was in and out of the meeting, present for the pro-payday loan testimony of Staderman, absent for most of the rest of the testimony, all of which was against payday loans. 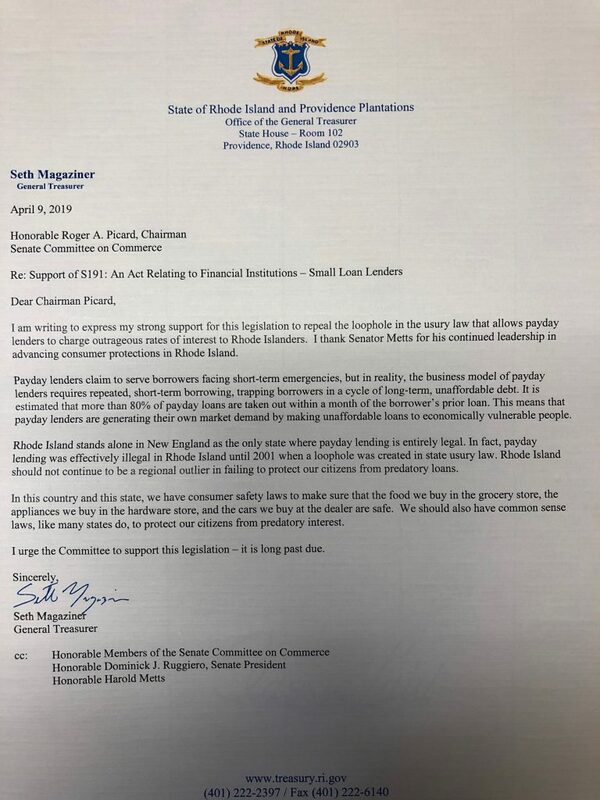 This left the committee in the hands of Senators Quezada, Samuel Bell (Democrat, District 5, Providence) and Frank Lombardo (Democrat, District 25, Johnston). Bell stands opposed to payday loans, Lombardo seemed to favor them, based on his questioning. After the oral testimony the committee voted 2-1 to hold the bill for further study, with Senator Bell dissenting. The fight against payday loans in Rhode Island was once more robust, if equally doomed. 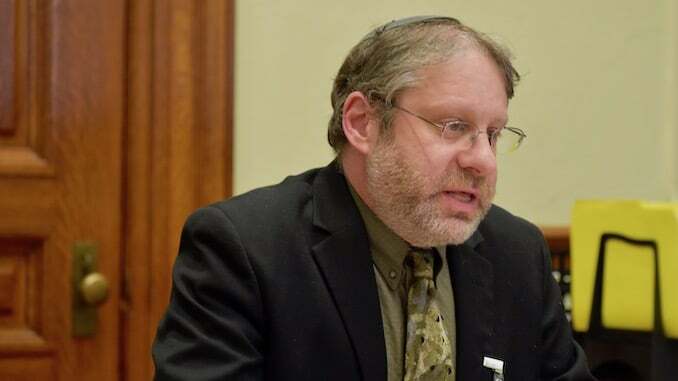 The Rhode Island Interfaith Coalition to Reduce Poverty used to make the elimination of payday loans a top priority – Reverend Donnie Anderson once called payday loans “evil” – but the idea has fallen off the Coalition’s to do list in recent years. Here’s video of all the testimony, followed by the written testimony. Oddly, when I requested all the written testimony, I did not get it all. I will amend the piece when I get my hands on the rest. 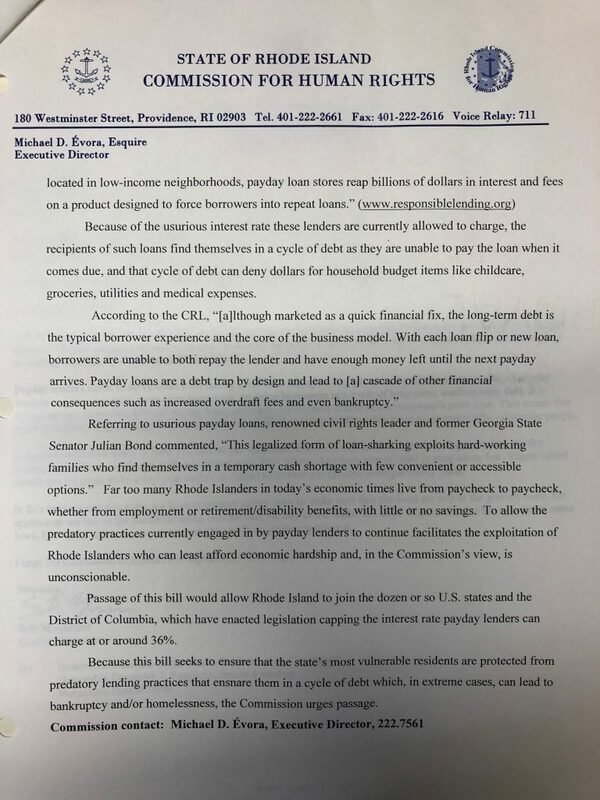 Bill Staderman, President of the Rhode Island Association of Financial Services at one point used a report from the libertarian, Koch Brothers funded Cato Institute to support his arguments. The Cato institute is a leader in the movement to cast doubt on the science of climate change, and a bad actor on multiple fronts. 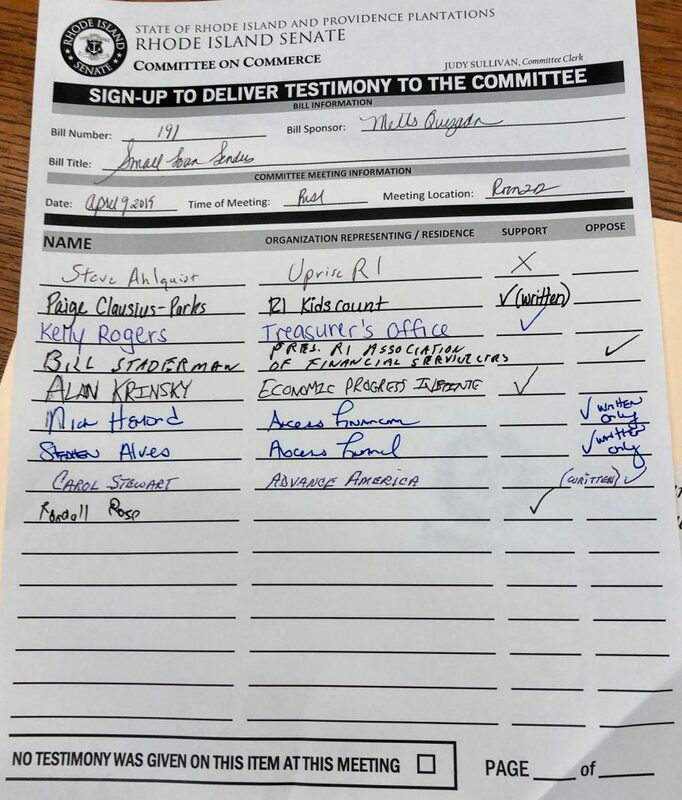 Here’s the sign-in sheet which clearly indicates that there was written testimony submitted by Nicholas Hemond and Stephen Alves that was not made available to me upon my request. Hemond is paid $20,000 per year by Axcess Financial. 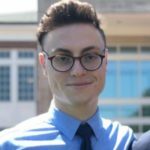 Stephen Alves is paid $40,000 per year by Axcess Financial. You should have worn a big superhero cape to testify against evil and shame the Devil.The most lucid part of this report is the letter from Advance America! The rest is graphs and pie charts from non profit money grabbers to show people that they are poor. Maybe we’re poor because of overdraft fees which are never expressed as an APR. 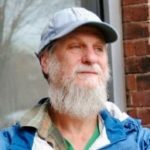 Maybe we’re poor because rent is more than 50 percent of income and National Grid is more than 50 percent of income and cable is $200/ month. 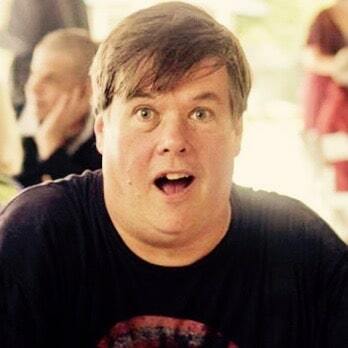 Maybeaybe I’m on an $800/month fixed income. Maybe I borrowed money because the vet wanted $300 to take the Christmas ornament glass out of the dog’s paw. Maybe I borrowed money for a black suit for the funeral. Maybe I borrowed from the only people who lend me money that I have trusted over 10 years now so I can spend a day at the beach with my son. The actual, real stuff of life I have to steal because all income money is taken by greedy gone wild. Let’s make some pie charts for those dollars – Summer Camp $ and RISD and PPAC kids’ classes and Drivers’ Ed and car insurance for the teen – lunch money pizza money, birthday cake, maybe a present, you can’t forget the cell phone plan – all the dollars beyond rent, taxes, utilities. Your article is as clownish as your picture. Maybe when you grow up enough to fully investigate an issue important to adults, we will let you tell the story.